When MTV launched its cafe in association with Delhi based Fun Bars Hospitality; Ranveeer Brar was roped in as the corporate chef of the group crafting the most inspirational food from around the globe. 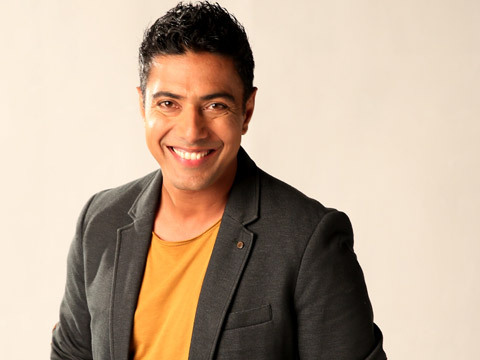 Chef Ranveer Brar is today one of the top celebrated chef in India. From working as a judge for MasterChef season IV to taking his dancing skills on television, the young chef has become the favourite choice of every modern food place in India. And, recently when MTV has launched its cafe in association with Delhi based Fun Bars Hospitality; Brar was roped in as the corporate chef of the group crafting the most inspirational food from around the globe. What made you join hand with MTV as a brand? I think MTV as brand perfectly fits into my kind of food. Today, food places around philosophy are turning a stint. We have played around certain recipes like biryani iron chini, gulab jamun cheese cake, Japanese miso tikka etc. which are a new inspiration in food. But what should be kept in mind that the food should not become a mockery while playing around flavours. So, we have tried to keep the respect, yet FLYP the food around. What is the most important aspect that you look into while crafting the menu? Respect is what I always keep in mind while designing the menu. The respect for flavours has to be intact, serious and food should always be inspirational not the fusion. How much is your involvement in this menu? Everything in the menu is thought for and curated by me. It took us almost four months to create the concept and finally bring the menu. How localised is the sourcing? Unfortunately when we are trying to use international food, we have incorporated western ingredients and global imports and rest everything is locally sourced. How difficult it was curating the menu for MTV keeping in mind the kind of customers’ it targets? Every time you curate a menu it is difficult because you want to know who’s going to eat those foods. For me the biggest challenge was the urban youth of Delhi who would visit the restaurant, their choice, likes and preferences. Are you going to create menu for all MTV outlets depending on the city and region? We have very different palates, perception and taste. And the menu is not going to be copied in any part of India. The FLYPing part is consistent everywhere in food and drinks. ​How to Start a Spa Business at Home..
Watscooking.com is growing at 30 per cent every mo..